If you turn a water faucet handle, you expect that clean water to pour forth. If you flush a toilet, you expect waste to disappear. If these are your expectations, you are likely a business customer of a local government. There are two significant water service cases pending in the North Carolina Supreme Court. North Carolina Supreme Court decisions are controlling and decisions in these cases may change water service business practices in North Carolina. We posted an earlier entry about one of these cases. See here In 2013, the General Assembly transferred the assets and obligations of the City of Asheville’s 100 year-old drinking water system to a regional sewer district, which had never operated a drinking water system. However, the General Assembly made no provision for the employees experienced in operating the system to continue operating it. If the North Carolina Supreme Court decides this transfer law is valid, then a majority vote at the General Assembly can dissolve any local government drinking water or sewage disposal company and transfer its assets and operations to a company chosen by the General Assembly. In today’s post, we discuss another water service case pending in the North Carolina Supreme Court. This case involves who pays for water services. A homebuilder contends that the Town of Carthage (the “Town”) cannot assess a water service fee against a person selling lots to home buyers because the seller is not consuming the services. If the North Carolina Supreme Court agrees with the homebuilder, water costs will increase for consumers, such as homeowners, and water services may not grow to serve new development. The North Carolina Supreme Court has scheduled oral argument for both cases on May 17, 2016. A legendary phrase in jurisprudence is Lord Coke’s “Note the distinction.” When you hear the phrase, you have a queasy feeling. Your analysis is perfectly logical – and perfectly wrong. A basic distinction in North Carolina local government law is that North Carolina local governments discharge governmentalactivities and engage in proprietary activities. A governmental activity is regulating public conduct, such as adopting land development regulations or providing services, such as public schools, jails, and social services. Everybody has the right to use these services. A propriety activity is operating a business, such as providing water services. Only people who pay for the service have a right to use it. Under the Town’s laws, a “water impact fee” must be paid at the time a customer taps into the system or a development permit is issued within the system’s area, whichever occurs first. Final subdivision plat approval is a development permit under Town law. Quality Built Homes, Inc. (homebuilder) paid the impact fees, sold all lots in its subdivision and sued the Town for a refund, interest and attorney fees. The homebuilder alleged that the Town “was not specifically authorized by law to charge and collect impact fees for water and sewer”, the Town “has illegally collected water and sewer fees.” and “was using the impact fees …to offset the expense of maintaining its entire water system.” Quality Built Homes v. Town of Carthage, __ N.C. App. __, 776 S.E. 2d 897(2015)(unpublished), p. 1. At that point, the Town was supplying water and sewer services to homebuilder’s former customers, the homeowners residing in the homebuilder’s development. The Town denied the homebuilder’s allegations and asserted the affirmative defenses of statute of limitations, and waiver or estoppel through acceptance of the benefits. The trial court entered summary judgment in favor of Town and the homebuilder appealed to the North Carolina Court of Appeals. After reviewing plaintiff’s contentions, the public enterprise statutes, and North Carolina Supreme Court case law, the North Carolina Court of Appeals affirmed the trial court’s judgment and concluded that the Town was authorized to charge impact fees “that are necessary to ensure the continued quality of water and sewer services in the face of development.” Quality Built, p. 4. As for using these fees for maintenance, the Court of Appeals concluded that the plaintiff had not identified any authority prohibiting the use of revenue generated from these fees for maintenance, and therefore the Court of Appeals overruled the plaintiff’s claim that the Town “has acted ultra vires in collecting its water and sewer impact fees.” Quality Built, p. 5. 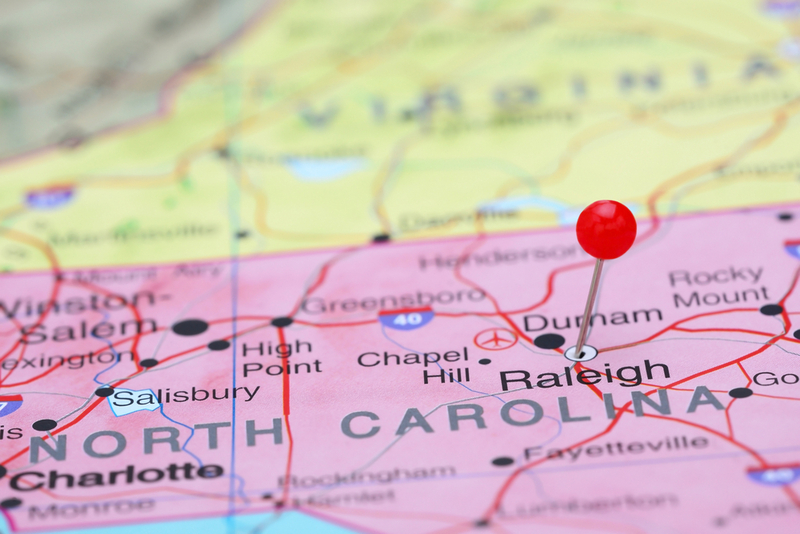 The homebuilder asked the North Carolina Supreme Court to review the Court of Appeal’s decision and the North Carolina Supreme Court accepted the case for review. The homebuilder’s legal theory is: (1) local governments only possess those powers granted by the North Carolina General Assembly, (2) the public enterprise statutes do not use the term “impact fees” and only enable fees “for the use of or the services furnished by” a public enterprise, (3) this language is clear, unambiguous and cannot be broadly construed to include or imply authority to charge impact fees, (4) homebuilder was charged for services to be furnished and (5)this fee is not unauthorized by the General Assembly, illegal and ultra vires. The homebuilder finds support for its theory in two North Carolina Supreme Court decisions where homebuilders have won making similar arguments. In Smith Chapel Baptist Church v. City of Durham, 350 N.C. 805 (1999), the North Carolina Supreme Court held that charging stormwater fees for purposes other than stormwater drainage systems was unauthorized. In Lanvale Properties v. County of Cabarrus, 366 N.C. 142 (2012), the North Carolina Supreme Court held that charging zoning fees to subsidize new school construction was not authorized by the General Assembly. b. The General Assembly did not limit “use” by adopting a definition. Customers buying new homes in residential subdivisions expect water and sewer services. To satisfy these expectations, homebuilders must either build water service systems or represent that there is a third party provider. Drilling wells and building septic systems consumes land, reducing the number and/or size of homes a homebuilder can sell and raising the homebuilder’s construction costs. Moreover, some land, because of poor soils, cannot support wells and septic systems. Because the Town could serve the new subdivision, the homebuilder avoided these costs and risks and satisfied its customers’ expectations. The homebuilder used the availability of the Town’s water services to sell homes. The General Assembly understood this fact in 1971, and this fact continues today. Here, Quality Homes paid the fees and sold all of its product and wants fees refunded – a double benefit. 2. Justice Huskins, a former Justice of the North Carolina Supreme Court, was fond of saying that he wanted to know the “the meat in the coconut” – not the hard shell of abstract legal analysis. b. If the North Carolina Supreme Court adopts the homebuilder’s position, only current consumers of water services will pay for water service businesses. i. While housing prices might decrease, the cost of home ownership is likely to increase. ii. Why should current consumers pay for extensions or enlargement of water service systems? In fact, how could local governments charge fees to current customers for extensions or enlargements of water systems to serve new development? Existing customers are not consuming these water services. 3. When you note the distinctionbetween governmental and proprietary activities, the General Assembly’s plan is self-evident: Local governments possess discretion to manage their businesses. If a company uses a water service to its economic advantage, the local government may assess a reasonable and non-discriminatory fee. How a business spends its revenue to support its business is a discretionary business decision. After all, water service is a propriety activity.